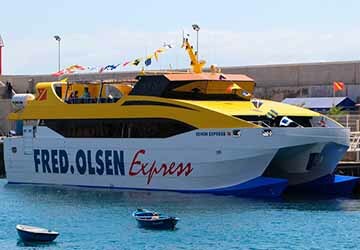 The Santa Cruz de Tenerife Agaete ferry route connects Tenerife with Gran Canaria. 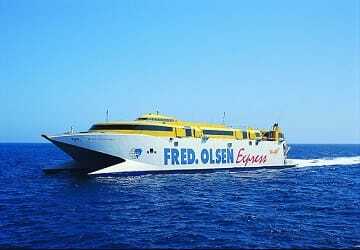 Currently there is just the 1 ferry company operating this ferry service, Fred Olsen Express. The crossing operates up to 56 times each week with sailing durations from around 1 hour 20 minutes. Santa Cruz de Tenerife Agaete sailing durations and frequency may vary from season to season so we’d advise doing a live check to get the most up to date information. Prices shown represent the average one way price paid by our customers. The most common booking on the Santa Cruz de Tenerife Agaete route is a car and 2 passengers. 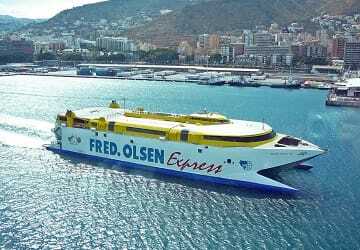 "Santa Cruz To Gran Canaria and Return." 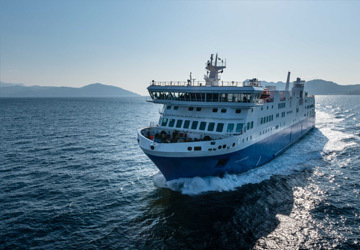 Our Trip was spot on time and very smooth - The staff on board were exceptional in their service and were very helpful. The Cafeteria staff were also very helpful and all the Food and Drink we had was very good. The return journey was exactly the same. 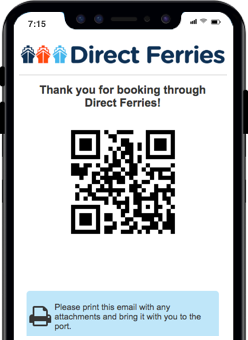 Call me sad, but as someone who doesnt go on ferries that often, i find it quite exciting to be on them! The most exciting bit of which is to go outside on deck right? This fred olsen journey had all its main deck closed off without explanation. There is one other balcony out the back of first class which was open however, albeit for first class ticket holders. Having not paid for first class i asked to upgrade. This was not an option. No excitement for me. Everything ok, only a bit of rough sea coused some worries.. I will recommend to seat at the back of the ship because of that. Agaete is a region in the Province of Las Palmas, in the north west of the island of Gran Canaria in the Canary Islands, Spain. Popular tourist attractions include the church Iglesia de la Concepcion, in the historic town centre, which replaced the chapel and led to the first streets and town square of the municipality. A new residential area was constructed after a new parish church was built following a fire in 1874. Opposite this the Plaza de la Constitución was built and nearby the principal old-style buildings of the town were also built. Located in Puerto de Las Nieves, the region's coastal area, is the Chapel and the Triptych of Our Lady of the Snows, which is attributed to the 16th century Flemish painter Joos Van Cleve. Puerto de Las Nieves is a lovely place to take a stroll or to swim in the Atlantic Ocean's clear waters. It is also the place to visit if you want to see the Dedo de Dios (God's Finger) which is a rock formation that protrudes from the sea. It is also the place to be at twilight in order to see the amazing mountain of Teide.